Aya had the great honor, in addition to singing backing vocals with a talented group of vocalists on the "Push the Sky Away" album, of performing in LA with Nick Cave and The Bad Seeds, alongside the lovely Natalie Wilde, a string section, and a choir of 32 children from Silverlake Music Conservatory. 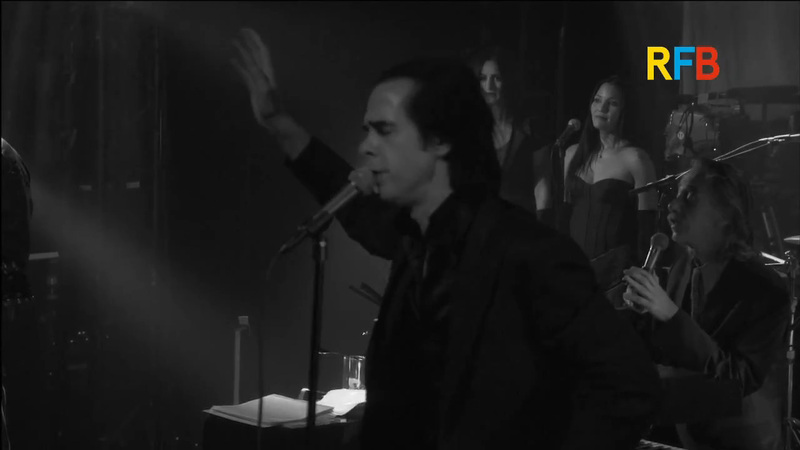 The show was recorded and streamed live worldwide via YouTube; a director's cut of this stream will be available soon. 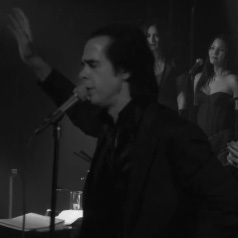 The sold-out show at the Henry Fonda Theatre received rave reviews, as have all the shows comprising the tour thus far, and is Nick Cave's first album to have reached number 1 on charts in both Australia and UK -- Congratulations Nick Cave and the Bad Seeds! Thank you Terri King for dressing us in her illustrious, dark mermaid designs, such beautiful clothes (visit her on Melrose at her shop, King).... Overall, such a wonderful experience.